Seeking a Trustworthy Painting Contractor in Apison, TN? There’s lots that you’ll gain when you hire an Apison painting contractor. One of the benefits in which you’ll gain is a home that’s worth more. Wouldn’t you like to increase the worth of your home while being able to live in it? 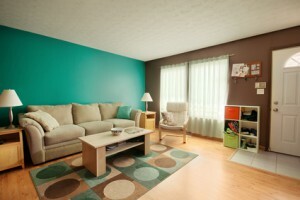 Williams Painting Company can paint your home’s interior or exterior. If your four walls are hungry for paint, then let us feed them. What’s the first thing that you think of when you hear the word, “painting contractor”? 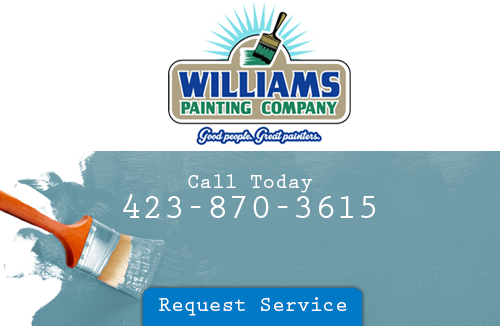 Hopefully you think of Williams Painting Company, but if you have never heard of us before, then ask your neighbors. We guarantee that someone in your neighborhood has utilized our services in the past. We are the painting contractors that have the knowledge it takes to create a masterpiece inside your home. Just call us in order to take advantage of our drywall & plaster repair service. Your walls don’t need to be so beat up. Our drywall & plaster repair service is great for prepping them for our interior painting service. We can patch your walls up before giving them a nice base coat of primer. You can always trust that we will get your walls back to looking their very best. Do you know exactly what a hiring a good house painter can do for the look of your home. You can find your answer when you contact the Apison house painting contractors at Williams Painting Company. Our main goal is to paint your home using only quality products. Our painters can also stain your deck. Staining is a form of painting in the fact that it takes a skilled craftsman along with careful brushstrokes to get your home looking better than ever. Don’t wait long, your painters at Williams Painting Company are waiting for your call. What does your home mean to you? If it means anything, then you’ll have the decency to contact us. We’ll make your home a lot more livable as the neighborhood will start using your home as a model for future homes in the neighborhood. Your home’s exterior is always being scrutinized by weather and other outdoor debris. Even the sun’s UV rays can be very harmful to your home. You can take care of the problem with routine maintenance. Routine maintenance includes pressure washing. Pressure washing doesn’t just start with your home. We can do decks, driveways and any other outdoor areas that may be in need of a good cleaning. Give your property some special attention by having it power washed. Get your Apison pressure washing specialist to pressure wash your home and you’ll be able to breathe a lot easier. It’s hard to live with a home that’s in need. When you have a professional pressure wash your home, you’ll have a much cleaner home. Thanks, I am pleased with the work. If you are looking for an Apison painter, please call 423-870-3615 or complete our online request form.